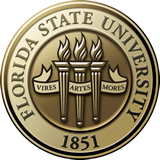 The Aero-Propulsion, Mechatronics and Energy (AME) Center at Florida State University focuses on the development of transformational research programs to foster cross-cutting technologies. The next-generation Polysonic Wind Tunnel at FSU is a blow-down wind tunnel and allows researchers to run tests between a Mach number of 0.2 to 5.0 including transonic speeds. Focusing on solving tomorrow's energy storage problems today, including through investigation of advanced capacitor technology. AME was formed to meet the needs of rapidly evolving and highly competitive fields. The Center aims to train and sustain a much-needed highly skilled workforce, to design and develop new technologies and products, and to transition technology to applications in a timely and efficient manner. Every Spring, Innovation Park bustles with local community members who are curious to explore the research laboratories of the area's leading experimental and theoretical thinkers. On February 23rd, the AME building showcased fan favorites such as Augmented Reality demonstrations, infrared imaging of ice cream ingestion, dry ice bubble generation, and an introduction to the latest humanoid addition to AME, Cassie. Check out some of the highlights and images from the event, and be sure to make it out next year! AME is proud to welcome to the center Dr. Christian Hubicki and his newly launched Optimal Robotics Laboratory (ORL) within CISCOR! The launch has been marked by the arrival of CASSIE--an Agility Robotics project which Christian helped incubate and design during his graduate research at Oregon State University. Don't be alarmed if you run into a robotic ostrich-like creature patrolling among the geese in Innovation Park! The AME building has been recently certified as a Green Office at Florida State University. As part of this program, academic departments and research centers at FSU set goals and implement green practices in areas including; energy conservation, waste reduction, recycling, transportation, IT, and purchasing. By completing sustainability objectives, organizations contribute to the mission of FSU Sustainable Campus: promoting resource conservation while benefiting via cost savings. Rising Star: Daniel Hallinan, Ph.D.
FCAAP is honored to announce that the center's very own Daniel Hallinan, Ph.D. was acknowledged by the FAMU-FSU College of Engineering's Dean's Office for exemplary publications and student development. Congratulations, Daniel! Continue reading Rising Star: Daniel Hallinan, Ph.D.